Park Soo-jin is a South Korean actress who was born on November 27, 1985. She began her career in the entertainment industry as a member of the girl group called ‘Sugar’ in 2001. In 2006, the group disbanded and Park chose acting as her career. Her first job as an actress was playing the supporting female role in the drama Get Karl! Oh Soo-jung. Park Soo-jin began her career in the drama industry through the SBS drama titled Get Karl! Oh Soo-jung. She was cast to play the role of the young Oh Soo-jung. The drama was being aired in 2007. The same year, she appeared in the MBC drama The Devil That Pours Red Wine, where she played the role of Ahn Chun-sa. In 2008, she acted as Hee-jin in the OCN drama The Art of Seduction and as Hyun-ji in the MBC drama Our Happy Ending. In 2009, she was cast in the popular drama Boys Over Flowers. She played the role of Cha Eun-jae, who was Yi-jeong’s first love. The same year, she worked in another popular drama, namely Queen Seondeok. It is a historical drama about a young queen who unites three turbulent kingdoms despite the opposition from a very powerful lady of the court. In this drama, Park played the young Maya. That year, she appeared in 3 dramas. The last one is the SBS drama Loving You a Thousand Times, where she played the role of Oh Nan-jung. Her latest drama was being aired in 2013. 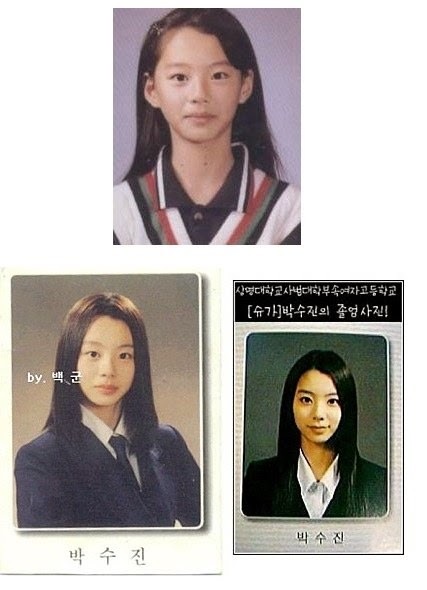 That year, she appeared in 2 dramas. She acted as Cha Do-hwi in the tvN drama Flower Boy Next Door, and as Mo-seol in the KBS2 drama The Blade and Petal. The Blade and Petal is a story about the daughter of the King, who is torn between love and revenge as she falls in love with her father’s murderer. Park Soo-jin got her first movie job in 2009. She was chosen to play the role of Ji-na in the movie Searching for The Elephant. In 2012, she appeared in 2 movies: Superstar and Natural Burials. In 2013, she appeared in the short movie One Perfect Day, as Yoo-jin. Her latest movie was 48 M where she played the character Han Eun-ok. The movie was being aired in 2013. 2013 Star Beauty Road SBS E! Park Soo-jin got an opportunity to have a show of her own in 2010. She was chosen to be the host of O’live TV’s new program Tasty Road. The program’s main goal is to inform the viewers about the trendy restaurants in South Korea. The program got positive responses and large views. Tasty Road is still being aired today. In 2013, Park appeared in the SBS E! program Star Beauty Road. She appeared as a guest in an episode. 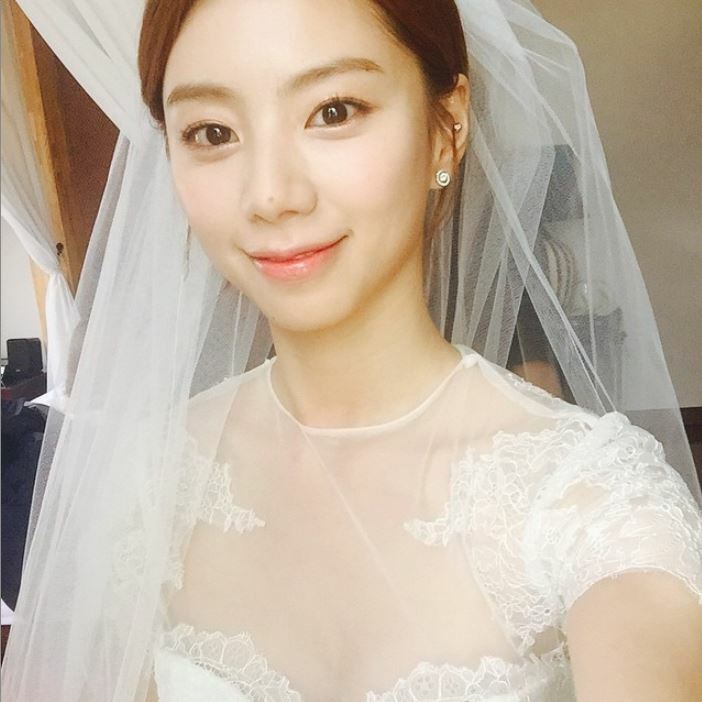 Park Soo-jin has appeared in two music videos since her debut. She was chosen to be a model in J.Rich Goodbye My Love’s MV. She starred along with TVXQ U-Know Yunho. In 2014, she appeared in Ailee ft 2LSN Re;code Episode 5 – I’m in Love’s MV. She acted alongside the popular actors Seo Kang-joon and Dave. Actor Bae Yong-joon married Park Soo-jin on July 27, 2015. They had only been dating for six months before getting married. The couple, who has a 13-year gap, started dating in February that year and announced their engagement in May. They held a private wedding ceremony at the Sheraton Grande Wakerhill hotel in Seoul. After staying at the hotel overnight, the pair left for their honeymoon on the southern coast of South Korea. Some of KeyEast stars attended the ceremony, like Kim Soo-hyun, Park Seo-joon, and Lee Hyun-woo. Park Jin-young (CEO of JYP Entertainment), who is known as Bae Yong-joon’s best friend, attended the ceremony and he was also one of the performers there. If we look at the picture below, we can see that she already had big eyes and a well-shaped nose as a child. If we compare these with more recent pictures of her, it is obvious that she looks the same. She has always been pretty, ever since she was born. Indeed, a natural beauty.